Professor Dan Wadada Nabudere is dead. He collapsed at his home in Busamaga Ward in Mbale municipality early this morning. John Musira the information minister of Bugisu Cultural Union says Nabudrere passed away at around 2.am. Musira explains that Nabudere woke up at around 2 a.m. complaining of coldness and requested warm water. He says after taking the water he collapsed and died. Musira says that Nabudere was rushed to Mbale Regional Hospital for emergency treatment but doctors there pronounced him dead on arrival. He says that the cultural union has received the news of the death with shock because the professor had not complained of any sickness prior to his death. 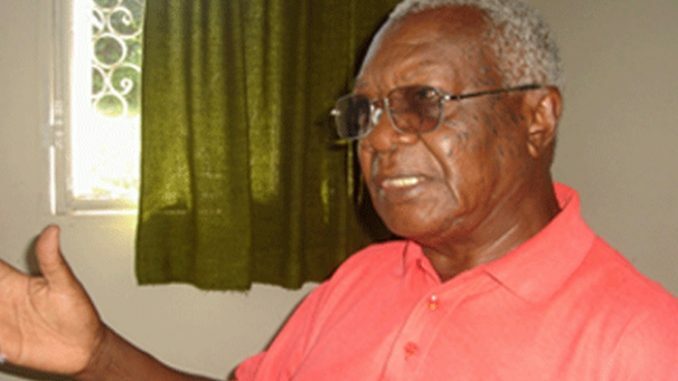 Prof. Nabudere, 78, has been the executive director of the Marcus Garvey Pan-Afrikan Institute, which has been operating at his residence. Nabudere is a barrister and was a former member of the Uganda National Liberation Front (UNLF). He obtained his law degree from London 1963 and was admitted as a barrister at law, Lincolns Inn, London, in the same year. He was previously Associate Professor at the University of Dar es Salaam, Tanzania, Islamic University in Uganda and a visiting professor at the University of Zimbabwe. Professor Nabudere was Minister of Justice in 1979 and Minister of Culture, Community Development and Rehabilitation in 1979-1980 in the UNLF Interim Government of Uganda. He was also President of the African Association of Political Science from 1983 to 1985 and Vice-President of the International Science Association (IPSA) from 1985 to 1988. His body is still at Mbale regional hospital where doctors are expected to carry out a postmortem.